This Palme d'or winning film, directed by Emir Kusturica, uses the epic story of two friends to portray the history of Yugoslavia. This Palme d'or winning film, directed by Emir Kusturica, uses the epic story of two friends to portray the history of Yugoslavia. This Palme d'or winning film, directed by Emir Kusturica, uses the epic story of two friends to portray the history of Yugoslavia. The film follows two underground black market weapons manufacturers, Marko and Blacky, in Belgrade. Their story begins in WWII, selling weapons to the Communist resistance, and culminates when they re-emerge from the subterranean shelter during the Yugoslavian Civil War in the 1990s. The film is a testament to Kusturica’s talent and won him his second Palme d’Or - something which only seven directors have ever managed to achieve. One of the most iconic features of the film is its unique soundtrack by Goran Bregović several songs from the album such as Mesečina and Kalašnjikov, became classic brass-band hits. 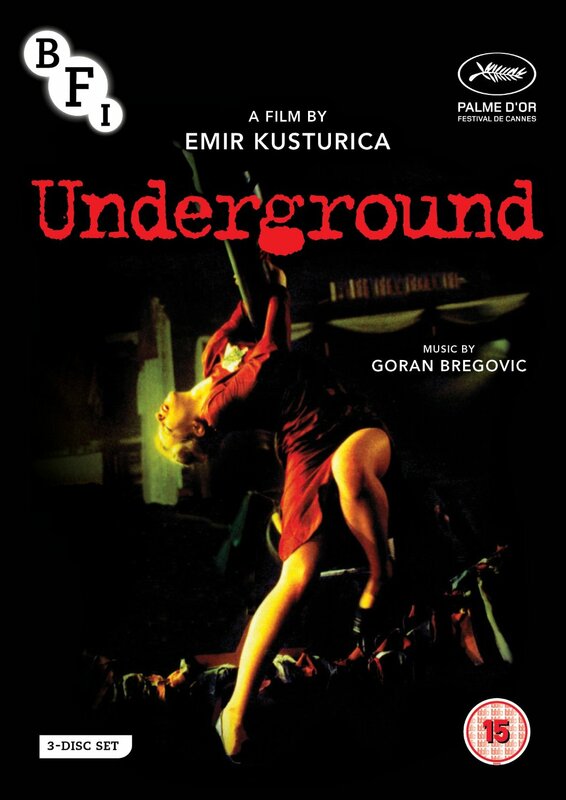 This DVD premier release of Kusturica's celebrated film is presented with the complete 5-hour TV version, Once Upon a Time There Was A Country and Aleksandar Manic’s Shooting Days: Emir Kusturica Directs Underground. •	Once Upon a Time There Was a Country (1995, Kusturica, 300 mins): 6-part TV re-working of Underground. •	Shooting Days: Emir Kusturica Directs Underground (1996, Aleksandar Manic, 73 mins): on-set documentary. •	Illustrated booklet with new writing and full film credits.